Save 49% while supplies last! Head to Amazon to score this Leniio Weighted 15-Pound Blanket for only $99.97 shipped, regularly $199.97. This weighted blanket is made with 100% breathable cotton and is filled with evenly distributed, non-toxic, hypoallergenic, odorless glass beads. This means that our weighted blanket will help to keep you warm in the winters and cool in the summers! CALM AND COMFORTABLE: Our heavy blanket is cozy, comfortable and will make you feel like being hugged by your loved ones. SIZE and WEIGHT: Made with natural breathable cotton, our weighted blanket weighs 15 lbs. and is best suited for individuals weighing 90-150 lbs. It measures 60” x 80” (152cm x 203cm) and is compatible with a QUEEN-SIZED mattress. 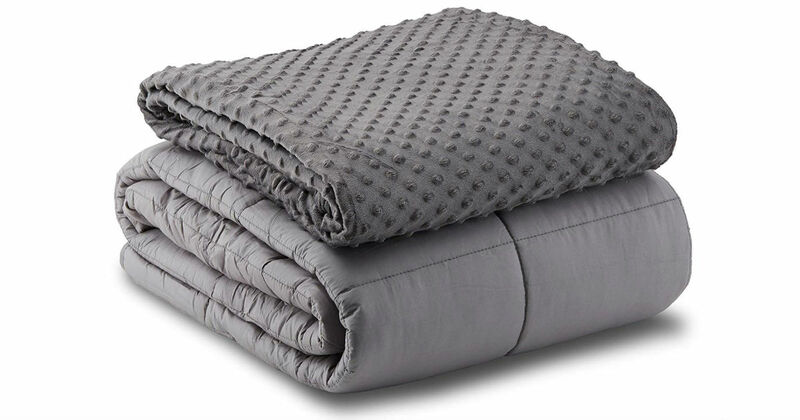 GIFT-A-BILITY: This weighted blanket comes in a DELUXE PACKAGING with a BONUS REMOVABLE Minky Dotted Grey Blanket COVER that is MACHINE-WASHABLE, making it the ultimate gift. Whatever the occasion, Leniio does it best! You won’t regret it!